Boxers are the Best Dogs! Where do the humans sleep? What is the origin of the name Babito? Ha! 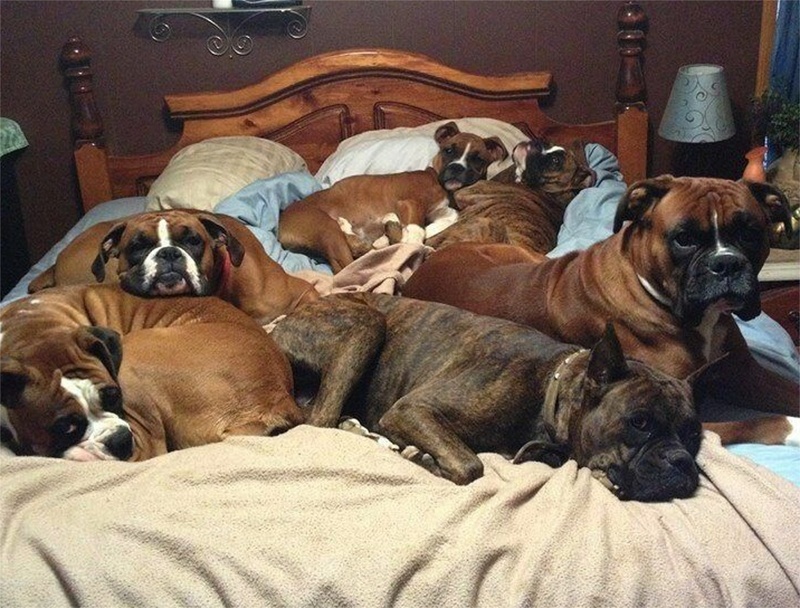 Yes, she hogs the bed, too… it is a “Boxer Thing.” They spread and spread until you find yourself curled in a ball in a corner of the bed. Babito means “little baby” in Spanish. She is tiny for a Boxer, and white and looked like a little angel when she came here. Of course, she is still a puppy and apparently wasn’t trained at all, so I am more inclined to call her “Poco Diablo” now…. I just had to clean up the papers all over the floor, the skein of yarn she destroyed, and the gift box I had ready for wrapping she pulled off the counter… all this while I was distracted doing something else! Pft. What made me think I wanted another Boxer, again? They are Scalawags!! Boxers are great! Babito is cute. Our first boxer was a white boxer. It is hard to keep weight on them – boxers often seem to be either underweight or overweight – if they are healthy, under is better! I missed the original story. Yes, she was very thin. There are some awful people in the world. There are, aren’t there? Thank goodness there are still some good ones to make up for the bad, no matter how few. Yes there are some good ones. And some great rescue dogs that those others can’t appreciate.